INDUSTRY.co.id - Jakarta- The government is asked to reconsider the plan of issuance of Presidential Instruction (Inpres) related to postponement of permit or moratorium on oil palm plantation now draft in Coordinating Ministry for Economic Affairs. Chairman of the Society Perkelapasawitan Indonesia (Maksi) Darmono Taniwiryono in Jakarta, Monday (29/1/2019) said the moratorium policy of oil palm plantations never bring significant improvements to the environment. Improving the environment is further supported by improved palm oil governance through the implementation of "Indonesian Sustainable Palm Oil System" (ISPO) which is also initiated by Kemenko. The implementation of ISPO mandatory certification with a stringent set of requirements covering legal, economic, environmental and social issues further demonstrates "teeth" in environmental improvements and reduces greenhouse gas effects. "So far, the moratorium has proved ineffective, why it should be maintained, not to mention the environment-related palm a regulation has been too much to overlap," he said. Darmono also reminded that the moratorium on oil palm plantation in the Inpres shows the impartiality of certain groups on commodities that for three years Jokowi's government has upheld the nation through the largest foreign exchange contribution and the increase of manpower. "President Jokowi is proud of the palm oil and always defends in various international forums and should have a more ethical label, which is like embarrassing Indonesia in the eyes of the world," he said as quoted by Antara. 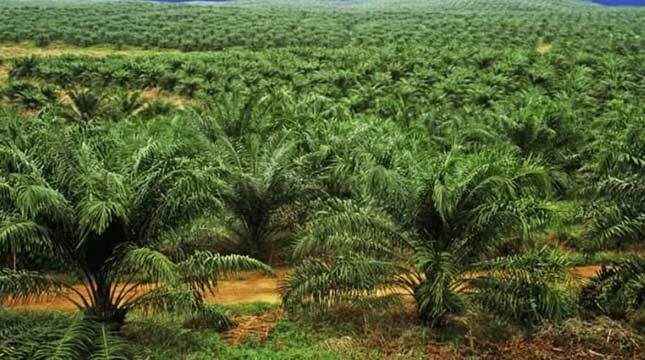 Even if the moratorium on land has to be done on the grounds of increased downstream and rejuvenation of oil palm, he added, there should be clear support from the government in the form of infrastructure development and land revitalization to increase the carrying capacity of oil palm plantations in Indonesia. Secretary General of Indonesian Palm Oil Association (Apkasindo) Asmar Arsyad considers the palm moratorium a tendentious rule that only wants to show the arrogance of the Ministry of LHK without considering the fate of millions of oil palm growers. Not unlike the peat moratorium, this policy also lacks proper academic and logical studies. Asmar also questioned the origin of land swap policy for Industrial Timber Plantation (HTI) which covers hundreds of thousands of hectares. "With current land constraints, whether land replacement policy is derived from the release of the area or from the moratorium land, it is not clear KLHK Do not make policy, the current rules are too many and do not have any solution," said Asmar . Meanwhile, Executive Director of the Council of Palm Oil Producing Countries (CPOPC) Mahendra Siregar said all policies including the palm moratorium need to refer to "Sustainable Development Goals" (SDGs). SDGs are a goal of sustainable development. For a developing country like Indonesia this rule is important because it needs a balance of economic, social, and environmental development before establishing a decision. "In SDGs, the common welfare objectives are prioritized through these three balances," he said.